Here you will meet 52 composers, conductors and instrumental performers - Africans, African Americans and Afro-Europeans. Many are alive today, but one lived 500 years ago! These artists are unknown to most of us, yet are so numerous this site can present only a fraction of them. They have made enduring contributions to Classical Music. Several have composed, conducted and performed Classical Music. Le Chevalier de Saint-Georges (1745-1799) of Guadeloupe is one of those multi-talented musicians. Cuban classical guitarist Leo Brouwer (b. 1939) is another. Over 100 sound samples can be heard at the Audio page and at the biographical pages. The links at left lead to a Black History Quiz covering everyone profiled at the site and a Guest Book in which you are invited to leave your comments. AfriClassical Blog is a near-daily companion to the website, AfriClassical.com. A blog post which refers to many Black composers is: Dominique-René de Lerma: Scholar of Black Classical Music for 40 Years. It is an extended interview with Dominique-René de Lerma, a Professor of Music at Lawrence University Conservatory. He is a Musicologist who has specialized in Black Classical Composers and Musicians for four decades. His research material on the lives of composers and musicians, along with his comprehensive Works Lists and Bibliographies, which often run to hundreds of entries, are the heart of this website. In the interview Prof. De Lerma recounts many of his interactions with students who have profited from his wisdom and support. Visit the blog often to learn of current issues involving Composers and Musicians of African Descent! Listen to an interview of Webmaster Bill Zick on WWFM A Tempo, March 2, 2013. 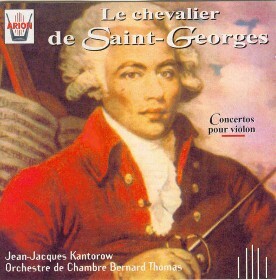 Le Chevalier de Saint-Georges was a very fashionable composer, violinist and conductor as well as Colonel of Black volunteers in the French Revolution. The U.S. composer and arranger William Grant Still blended jazz and the Blues in his emblematic Afro-American Symphony. Another 39 composers have been selected from Brazil, Canada, Cuba, France, Guadeloupe, Haiti, Jamaica, Nigeria, Puerto Rico, South Africa, the U.K. and the U.S. Quality links provide access to still more biographies. Ludwig van Beethoven wrote his Bridgetower Sonata to display the talents of a violin virtuoso, George Augustus Polgreen Bridgetower. Before the work was published, the two had a falling out and the work was renamed the Kreutzer Sonata! 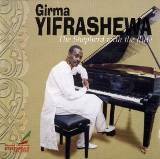 Girma Yifrashewa saw a piano for the first time at age 16, yet he became the first Ethiopian classical pianist to tour widely in Africa. Thomas "Blind Tom" Wiggins was a musical genius born into slavery in 1849, blind and autistic. Nearly all of his enormous earnings went to slave owners, and later to guardians, even after Emancipation. The Black trumpeter John Blanke served England's Kings Henry VII & VIII. A tapestry shows him performing in 1511. Ignatius Sancho was born on a slave ship near West Africa, and was soon orphaned. He was raised as a house slave in England but escaped at age 20. Before long he was a composer, anti-slavery activist and author of A Theory of Music. A Black History Quiz includes interesting facts on all 52 composers and musicians. The Audio page features over 100 samples of music by 33 composers, conductors and instrumental performers.